The facelifted Mazda MX-5 is more fun to drive than ever. The latest version of the best selling roadster in history not only features more responsive acceleration and braking, but also an aggressive front-end design as well as enhanced pedestrian safety. 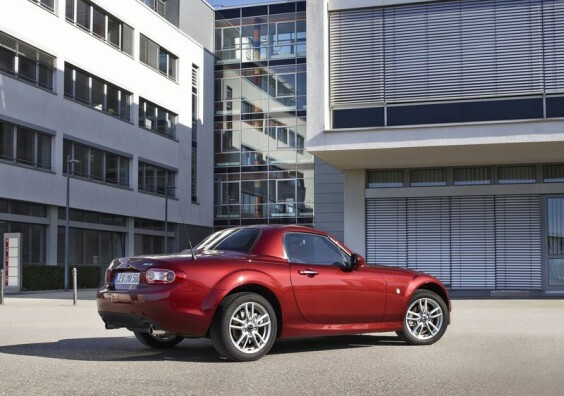 Mazda's technology specialists fine-tuned the acceleration management program (on manual shift models) to improve acceleration control and with it the linear response to throttle input, especially at lower speeds. By optimising the vacuum brake booster, meanwhile, they also enhanced brake return control. The upshot here is better handling thanks to superior front-rear load distribution. 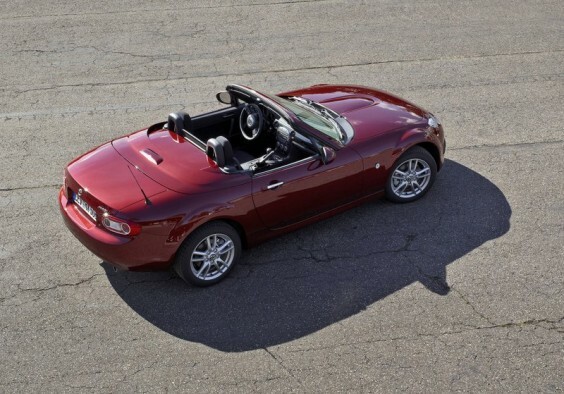 Drivers will appreciate these advancements most when braking into or accelerating out of curves. 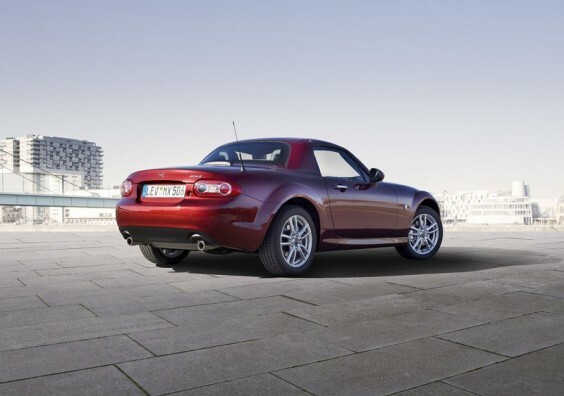 The Mazda MX-5, which has always excelled on winding roads, now reacts even more faithfully. The facelifted Mazda MX-5 is ahead of the curve in other ways, too. The new active bonnet system automatically raises the hood during an impact with a pedestrian, enlarging the crumple zone to prevent or at least diminish the severity of injuries, particularly to the head. The lower section of the front bumper has also been reinforced to better protect people's legs. 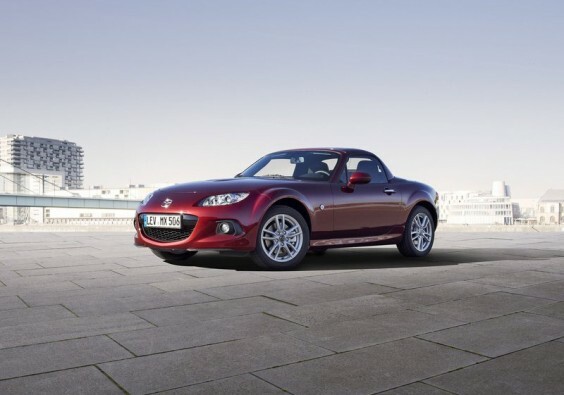 The Mazda MX-5 is thus ready for stricter EU pedestrian safety standards. 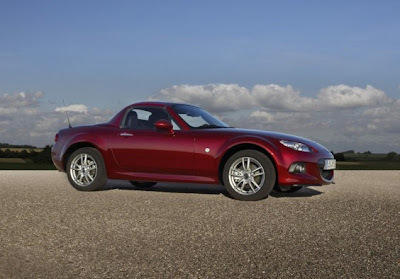 When adding these safety features, designers also reworked the front-end of Mazda's legendary two-seater. 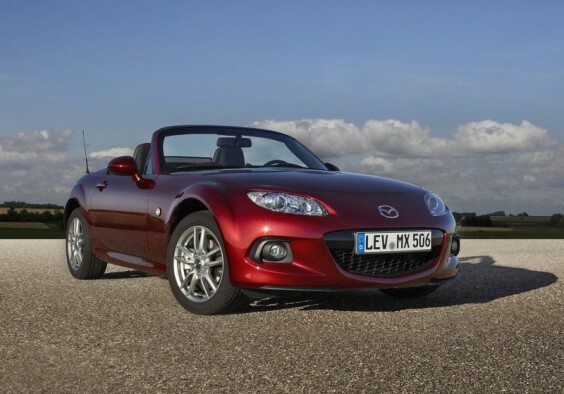 The deeper grille and new bumper design express a lower, wider stance and a more assertive face, while the new fog lamp bezels and chin spoiler improve aerodynamics. 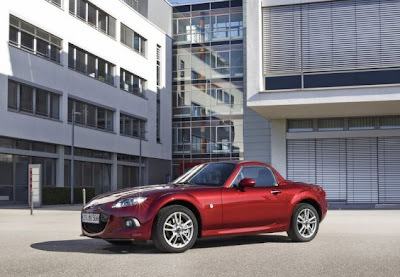 Available as a retractable hardtop coupe or classic soft-top convertible, the new MX-5 comes in a choice of eight body colours including one stunning new option: Dolphin Grey. Inside, the glossy dark grey steering wheel spokes and panel décor provide a refined sporty optic.